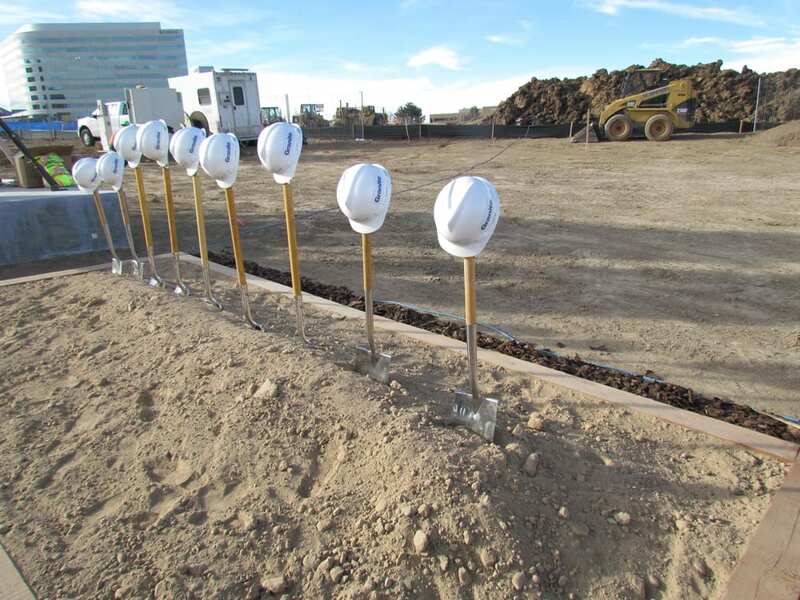 Granite Properties and Confluent Development, along with Greenwood Village officials, celebrated the groundbreaking of the southeast suburban office market’s newest speculative office building Wednesday afternoon. 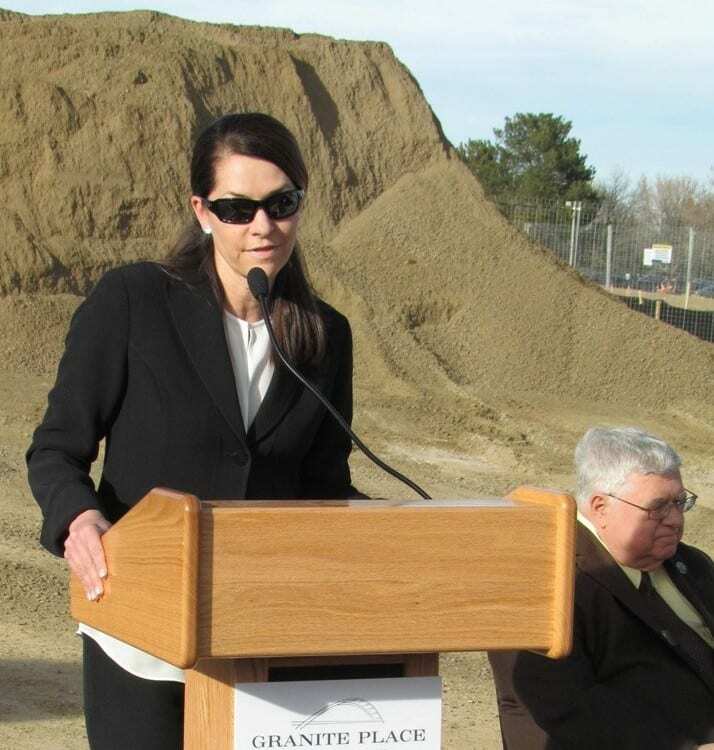 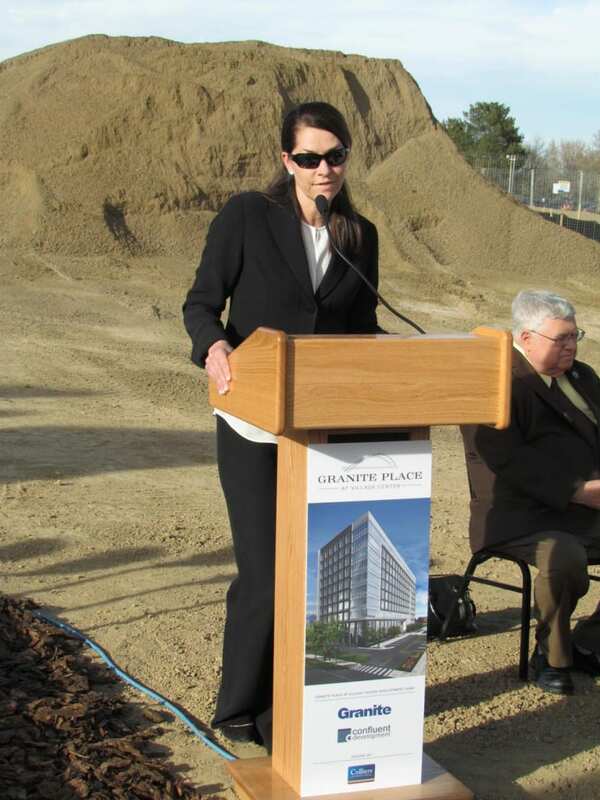 Granite Place at Village Center will bring 300,000 square feet of Class AA space, along with a 1,000-space parking garage, to the Village Center area near Interstate 25 and Arapahoe Road. 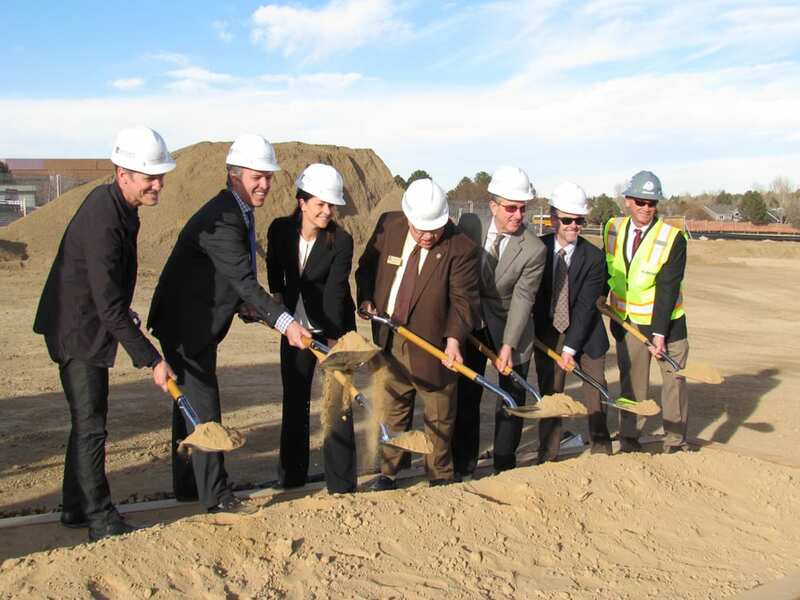 The 10-story building is within walking distance of the Arapahoe at Village Center light-rail station. 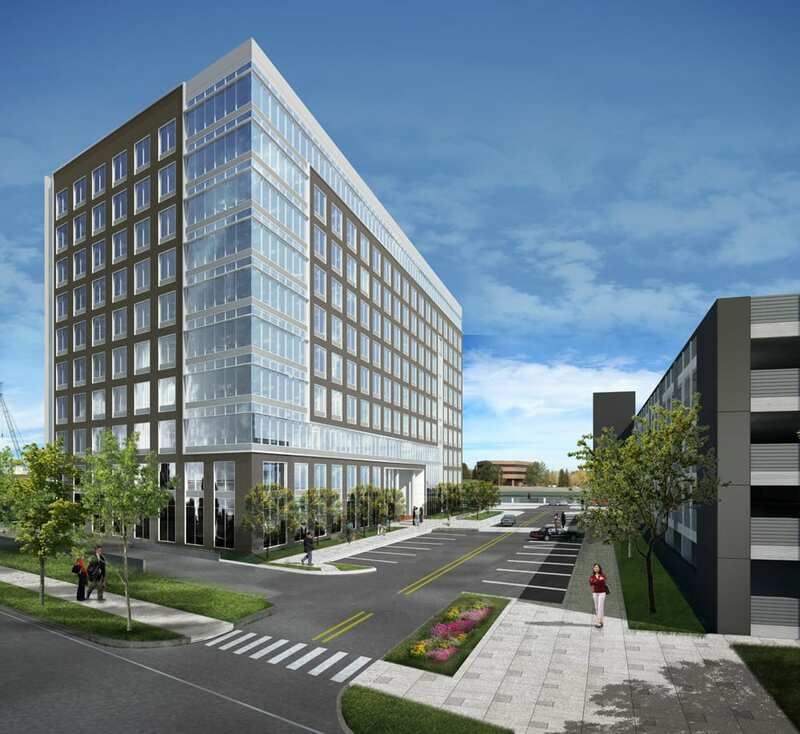 Designed by Open Studio Architecture in Denver, it is being built by GE Johnson Construction Co.
“I think it’s going to set the standard for office product in the whole Denver area,” said Granite Properties Managing Director Stephanie Lawrence.